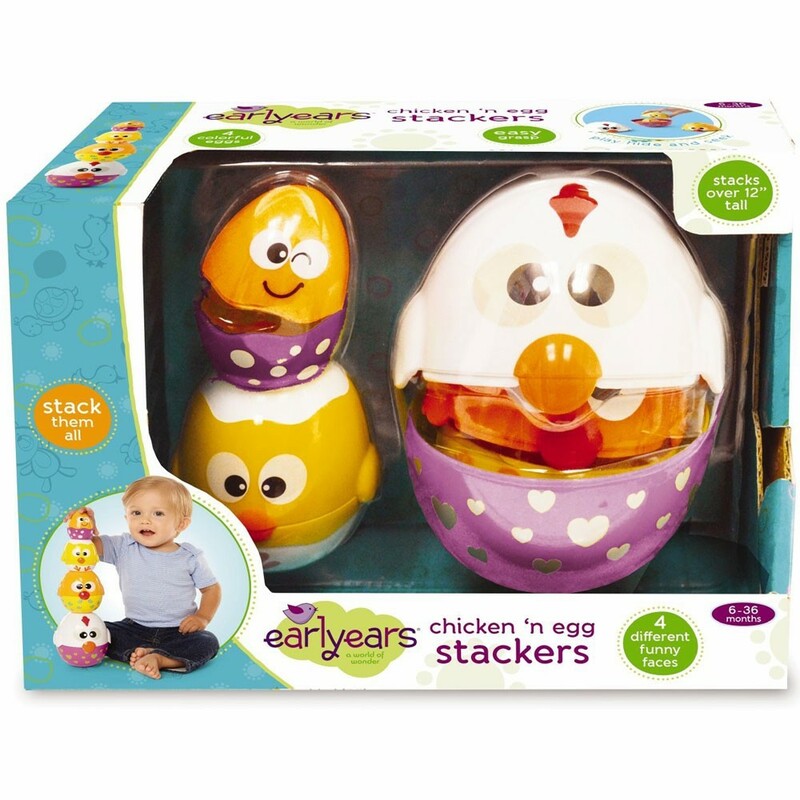 Nest, stack, count, and play with the Chicken & Egg Stacker Baby Activity Toy by Earlyears. 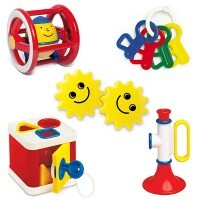 The nesting dolls that look like cute little chicks? 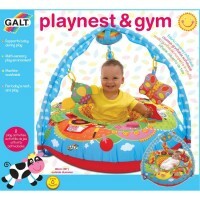 EGGcellent play idea! 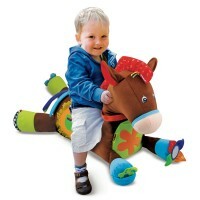 This toy brings EGGsiting entertainment for babies and toddlers. 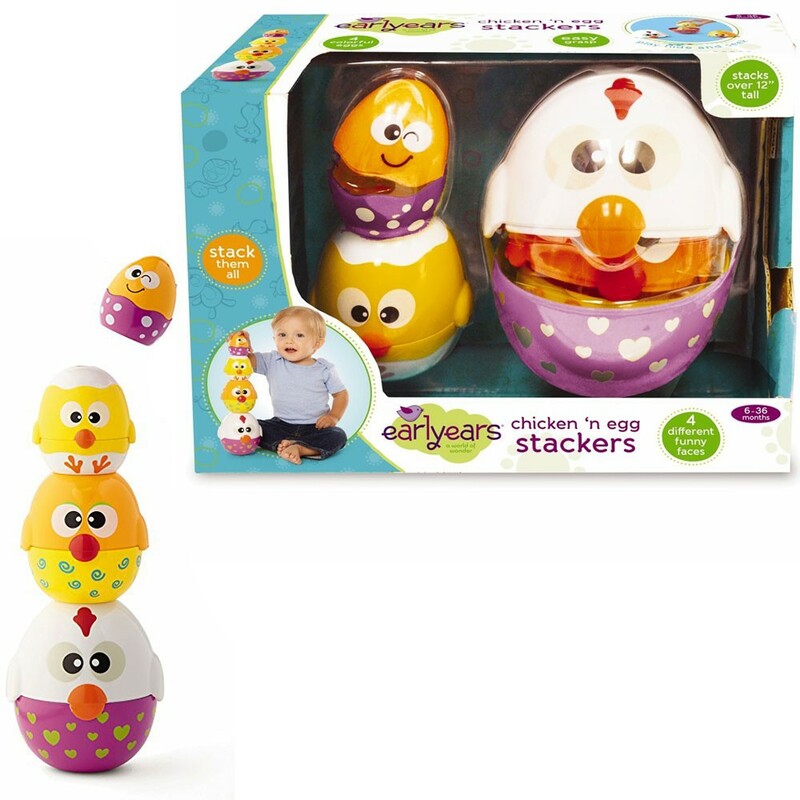 The Chicken & Egg Stacker Baby Activity Toy by Earlyears features baby design, includes multiple activities, and improves dexterity skills. 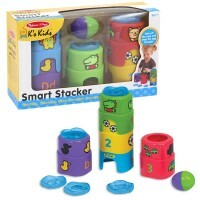 This stacking activity toy includes 8 colorful pieces: 4 matching pairs of egg tops and bottoms. 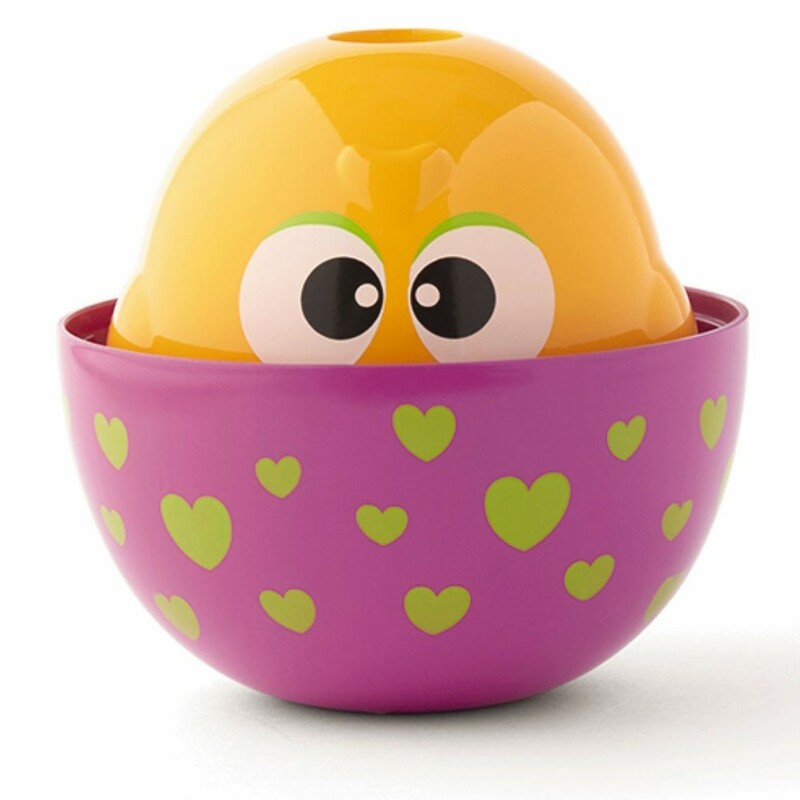 Each of these nesting cups is bright egg-shaped chick. 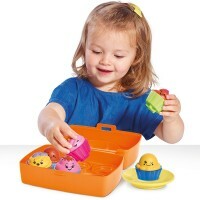 Babies and toddlers will learn to match finding perfect egg tops and bottoms. 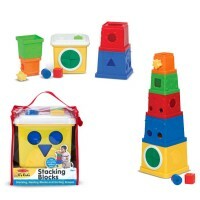 The egg stacking playset provides engaging learning activities to refine baby motor skills, cause & effect, and imaginative play. 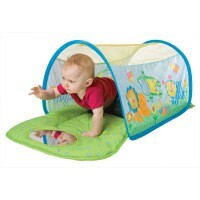 Nest, stack, count, and play with the Chicken & Egg Stacker Baby Activity Toy from Educational Toys Planet. 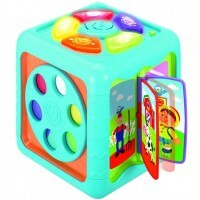 Dimensions of package 5" x 7.25" x 10"
Write your own review of Chicken & Egg Stacker Baby Activity Toy.